The new head of CNN’s parent company gave his first interview in that job to … CNN. John Stankey, who will run a new company that combines the media assets of AT&T and Time Warner (which will be renamed WarnerMedia), said CNN has a “special social responsibility” to democracy. “I think anyone who attacks a free press and questions whether its motivation is not pure runs the risk of creating a degree of skepticism within people to listen to it, and I get concerned about it,” Stankey said in response to a question about President Trump’s attacks on the network and the news media in general. 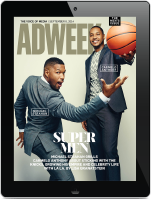 There have been rumors of layoffs in the corporate layers of Time Warner as AT&T takes over. But in an interview with CNN — his first since taking charge — Stankey said front-line employees in news and entertainment should not expect any major changes. Stankey confirmed that Jeff Zucker will remain in his role as CNN president. 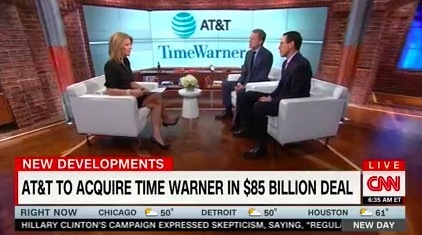 While the deal was in the works and the president was routinely attacking CNN, there was speculation in media circles that AT&T might appoint a new president. The Wall Street Journal, majority owned by media baron Rupert Murdoch, who is selling the bulk of his filmed entertainment assets (to either Disney or Comcast), wrote earlier this week that integrating “a staid phone company with an entertainment behemoth” will lead to a culture clash. AT&T will have to reconcile its culture, where all but nine top executives usually fly coach, with Time Warner’s Hollywood lifestyle, where most vice presidents and above fly business class and airport greeters are common, according to people familiar with the companies’ travel policies.